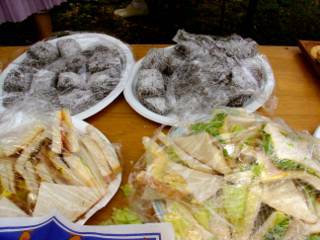 Traditional Australian `wake' food. For those not of this great country...the black things at the back are lamingtons, sponge cake covered in chocolate and rolled in coconut. They're bloody delicious.